The Athletic Association is a great way to get involved at OLV and meet new people. It provides the opportunity for our grade school and high school students to participate in sporting activities including soccer, baseball, softball, basketball, football, lacrosse, golf and volleyball. The Athletic Association provides many of the capital improvements that are necessary to insure first-class facilities for all sports participants. Athletic Association members also volunteer to help coach or coordinate various sports, and help with the festival each year. Our monthly meetings are held on the first Thursday of each month starting at 8:30pm. We meet at the concession stand by the upper fields or in the cafeteria, depending on weather. Christ Renews His Parish (CRHP), often pronounced “Chirp” is a weekend retreat designed to bring parish members together in Christ and emphasizes continued growth in Christian life. It is found throughout the United States. During the weekend you will find love and laughter, great food and friendship, and a renewed sense of belonging to this parish. The purpose of the Education Commission is to recommend policy which shall govern parish educational programs, subject to the approval of the pastor. The Education Commission will serve as a vital link in assisting the pastor and parish administrators in the development of a long range plan for parish educational programs in compliance with Archdiocesan Standards and Policies and to offer counsel and advice to the pastor and parish administrators in the operation of these programs. The purpose of the Finance Commission is to serve the Pastor and Pastoral Council regarding financial issues of the parish as needed. This will be accomplished through the research and analysis of the facts surrounding the issues. Once formulated, the financial plans and the budgets developed will be implemented through the Pastor and the Pastoral Council. Holy Smokes began as a crazy idea from a few friends sitting around talking about their love of BBQ. We kept saying “What if we created our own BBQ event?” Ironically, our parish was also looking for new ideas for a school fundraiser. After a few fact finding meetings, a few research trips to local BBQ establishments and a few deep breaths, we began to plan our inaugural event. What happened next is the stuff of BBQ legend. We actually got our event sanctioned by the KCBS, had a bunch of great teams sign up and hosted thousands of people for one of the most amazing days of BBQ and fun we had ever experienced. Ladies of Victory is a social organization open to all women of the parish which offers service, promotes unity and provides for social activities. Business meetings are held in October, November, January, February and May. A speaker, demonstration or activity follows the meeting. No dues are charged and every woman in the parish is considered a member if she chooses. Annual events include the Mystery Trip, Anniversary Brunch, Chicken Dinner at the parish festival, Bunny Brunch and Flower Sale. In addition, there is one major fundraiser held every other year. Proceeds from the above events are used for various church and parish improvements. The purpose of the Liturgy Planning Committee is to share in the responsibility for promoting good worship whenever members of the parish gather to pray and celebrate. Special liturgies during the Christmas season and the Lent/ Easter season require extra planning and preparation. The committee cares for the worship environment and makes sure that every need is carefully prepared for each liturgy. The Liturgy Planning Committee is a function of the Worship Commission. The Marriage Ministry is a group of married couples who prepare engaged couples for the sacrament of Matrimony. This preparation consists of a series of one-on-one meetings with each couple to administer the FOCCUS Inventory and then review the results with the engaged couple. The goal of FOCCUS is to help couples learn more about themselves by identifying and working through key issues before marriage. Marriage Ministry helps couples to realize the significance of the commitment they are making to each other and enriches their relationship with God and the Church. This group was created to foster an awareness of pro-life/pro-family issues and to promote, respect and reverence human life at all stages of development from conception to natural death. We hope to educate the parish on critical legislative pro-life activities, and encourage prayer in the parish and school for a greater respect for the gift of human life. The St. Vincent de Paul Society helps the needy families of the parish and community materially and spiritually, usually, on a temporary basis. If you are interested in helping with this important ministry, please call the parish office. 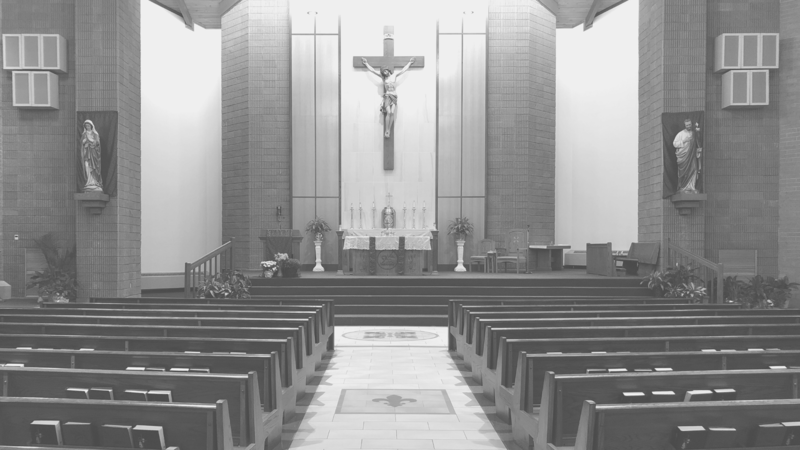 The Worship Commission develops policies for the application of the guidelines of the Archdiocesan Worship Commission and is responsible for all policies under which parish liturgical worship is conducted. Included in its responsibilities is the recruiting and training of liturgical ministers, preparing liturgical celebrations, determining parish policy on liturgical matters and liturgical education of the parish. Its membership consists of competent, interested, and responsible persons from our parish community who share in the responsibility of promoting good worship on an ongoing basis in our parish.